When moving to the Mile-High City, it’s exciting to contemplate what kind of architectural style fits your personality. Living in the shadows of the Rocky Mountains provides a breathtaking backdrop for dramatic contemporary homes, simple modern styles and everything in between. Some of the featured central Denver neighborhoods with state-of-the-art architecture include Highlands, RiNo, Alamo Placita, Cherry Creek North, Congress Park, Downtown Denver, and the Golden Triangle. According to a piece by denverurbanism.com, different decades in history brought about various single-family home architectural styles. As the city of Denver grew, the creative genius blossomed as well. Businesses, restaurants, and art galleries gave residents a sense of community. According to historians, there are no single-family homes still standing from the 1850s and 1860s when Denver was founded. If you really love historical housing, some of the single-family homes built in the late 1800s include the early vernacular cottage, the frame vernacular, and the Italianate. Also called the “shotgun shack,” the frame vernacular is a wood frame construction. However, some home flippers re-do the homes in stucco. Renovating a home built in the 1800s often takes the help of workers with specialized restoration skills. For most people, it’s cost-prohibitive to invest in a historic home. But it’s incredible to walk past the restored homes in the Central Denver neighborhoods. In the roaring 1920s, Denver was part of the economic prosperity. According to an article by denverurbanism.com, during the decade between 1920 and 1929, builders constructed more than 13,000 single-family homes in Denver. Congress Park and the Highland neighborhood was almost built-out, but growth continued in Berkeley, Sunnyside and Regis. By the end of the decade, the bungalow style was not as popular. Instead, people gravitated to revival styles. When house hunting in Denver, expect homes build in the 1920s to have incredible, retro features. Some of the styles built in Denver included the Craftsman with enclosed porches and two-toned brick. The Tudor home and English cottages are often found in Washington Park. French eclectic and Colonial Revival and Dutch Colonial homes are also found throughout Central Denver. In the 1950s, people throughout the country tended to focus on family and community. In 1959, Denver celebrated its centennial. People rushed to the Rockies as part of the 1950s suburbanization. One of the most prominent architectural styles in the ’50s was the ranch home. Most ranch homes have low-pitched roofs with wood or brick facades. Other styles from that era included the Cape Cod, the split-level with three-floor levels as well as the raised ranch. If you want to decorate in a modern style, consider the Usonian architecture made famous by Frank Lloyd Wright and his focus on nature. While some people buy a home in Denver to live in for the rest of their lives, other people think of a home as a real estate investment. If you enjoy renovating homes to “flip” or to sell within 5 to 10 years, consider the various architectural styles that appeal to buyers. When renovating your home to sell it or buying a home with the intent of taking on a major renovation, it’s important to think about the resale value. Talk to a real estate agent before making any drastic changes to the existing architectural style of your home if you plan to list in the near future. Some of the most popular styles in Colorado include the American Bungalow. The simple and efficient floor plan is ideal for a small family, a single person or couple. It’s not difficult to renovate the exterior of a bungalow which often has cedar shingles and clapboard siding. When listing, play up the covered front porch with staging such as chairs and potted plants. Another popular home to buy and renovate is the mid-century modern style. The home was influenced by Frank Lloyd Wright who loved simple forms and minimalism. Today, some investors knock down walls to achieve the open space found in many mid-century modern homes. Another popular exterior remodel to consider before listing is a contemporary style. Contemporary architecture is the style of the current day. Today, people prefer open floor plans, large windows for letting in natural light, and energy-efficient materials and appliances. In Colorado, it’s common to find homes built in the Mountain Rustic style. The exterior includes logs and stones. Although it does not affect the floor plan, some people feel more at home with the natural feel of a mountain rustic home. Just because a certain architectural style is popular does not mean it will work for you. If you have a large family, consider a raised ranch home with two stories. The style of the home means there will be a lower story at the ground level. Because of the floor plan, there is plenty of living space for multi-generational families. Figuring out your favorite architectural style is often a fun process. Figuring out which style will work for your particular family involves house hunting. It’s important to walk through different homes with your entire family to get an idea of what everyone likes. A good real estate agent will give you a tour of the various Denver neighborhoods. Taking a walk through various neighborhoods also gives you a feel for the ambiance. Landscaping often changes along with the home styles. In addition to the older Denver homes, the area is bursting with new home construction. When looking for a home to buy, pay attention to the facade of the house as well as the layout, yard, and view. In Denver, homes with better views maintain value. At the same time, don’t underestimate what you can do with the help of a landscape architect who understands the power of the Denver skyline and the Rocky Mountains. 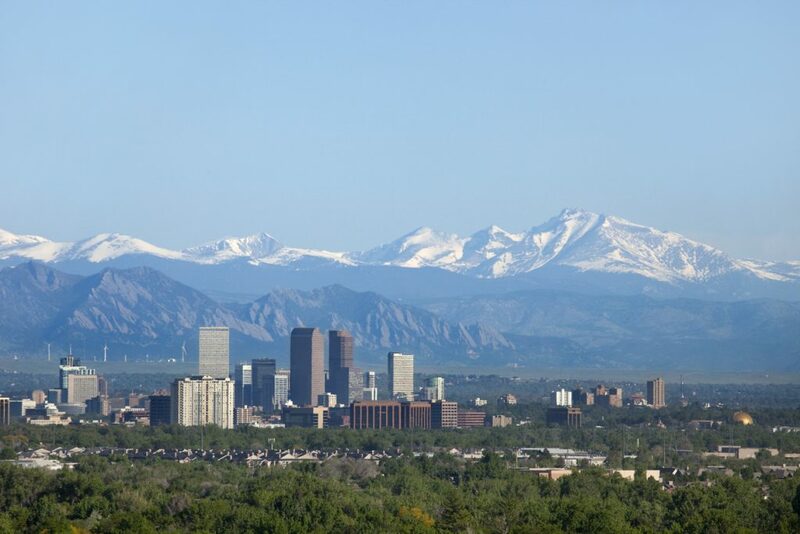 At Lana Sells Denver, we have a passion for Denver’s architecture and breathtaking scenery. For more information on choosing the best home for your family in Central Denver’s amazing neighborhoods, please contact us.